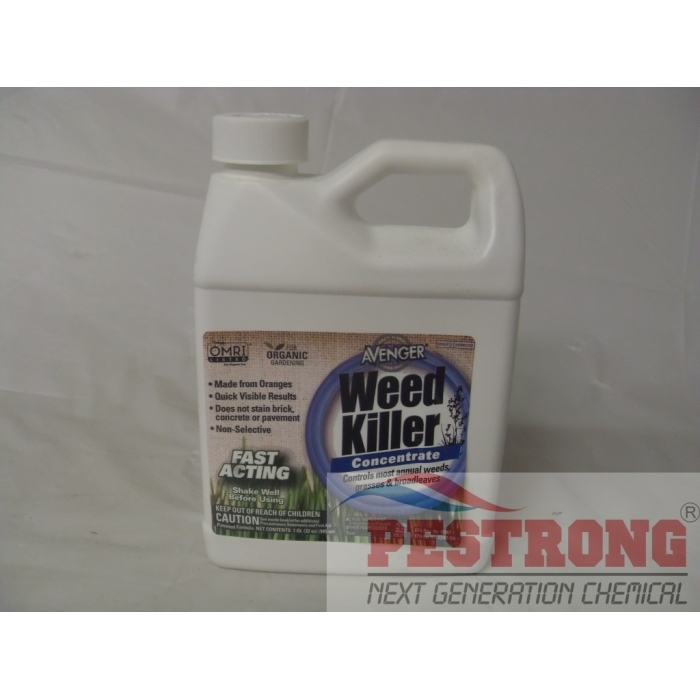 Where to Buy Avenger Weed Killer Concentrate, Avenger Weed Killer Concentrate - Qt - 1 - 2.5 Gal - $28.95 for Sale with Fast Free Shipping! 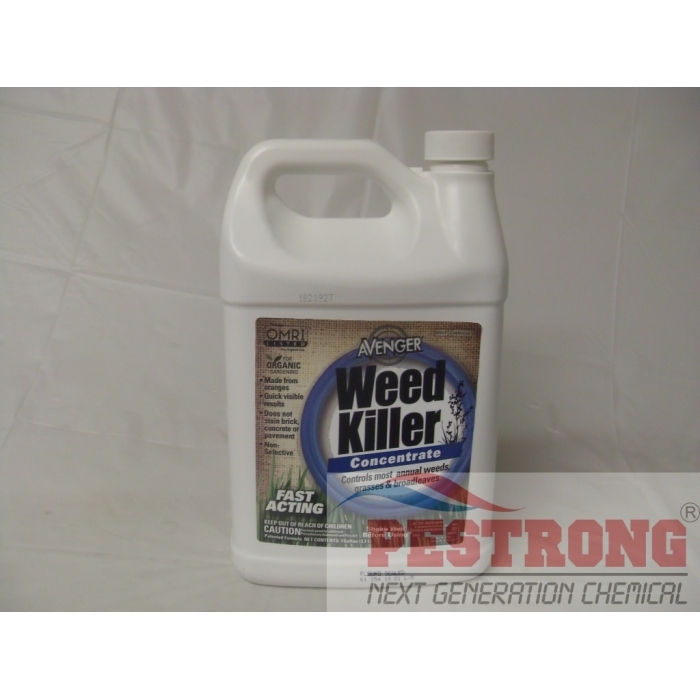 Avenger Weed Killer Concentrate - Qt - 1 - 2.5 Gal is a broad spectrum weed killer that contains a citrus extract. 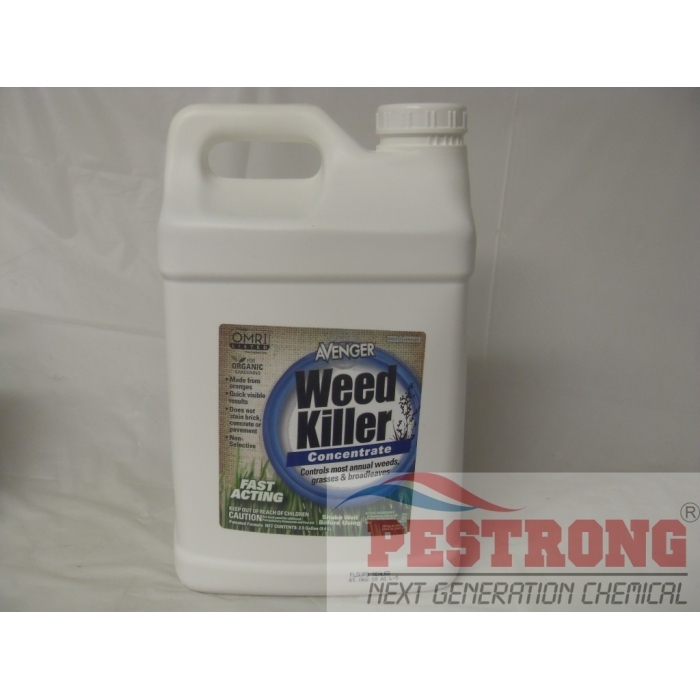 It is non-selective and controls most annual weeds, both grasses and broadleaves without causing harm to the environment. Esplanade EZ Herbicide Non-selective - Qt -.. The active ingredient d-limonene (citrus oil) naturally strips away the waxy plant cuticle, causing it to dehydrate and die. 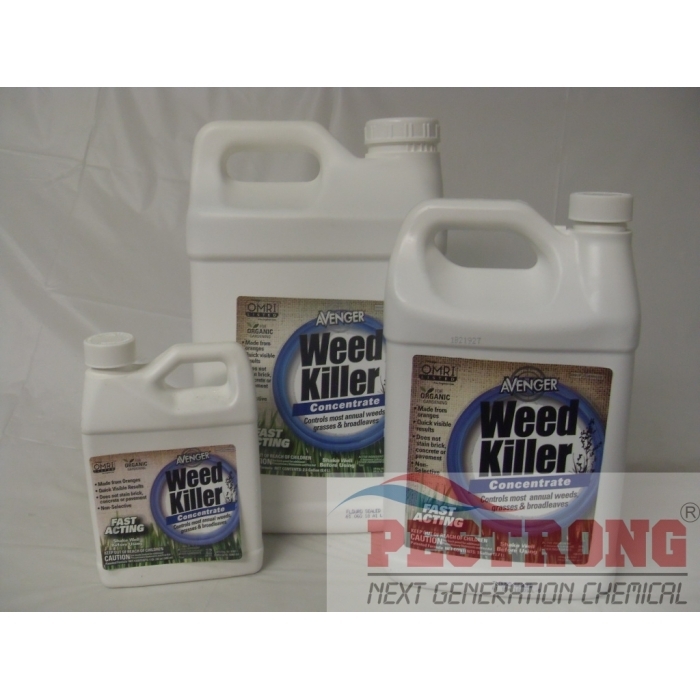 University and independent testing results prove that avenger weed killer is as effective, but faster acting when compared against leading synthetic herbicides. When tested against non-organic natural herbicides that contain vinegar (acetic acid), citric acid, clove oil or fatty acids (soap), it is more effective with quicker results. Approved for Use in Organic Gardening by the U.S. Department of Agriculture's (USDA) National Organic Program (NOP) Rule. Great for both indoors and outdoors! I am so happy that the reviews I read were accurate. After spraying and performing cleaning maintenance after 2 treatments, once per week really got the pest all gone.